Waterfront property on Lake Erie - 1489 ft of shoreline on almost 18 acres including small bungalow. Stunning panoramic views of Long Point Bay. Zoning allows for waterfront eco-tourism, hobby or horse farm or build your Lake front dream home on this magnificent property. Tree lined driveway leads to a small, well built 2 bedroom brick bungalow. 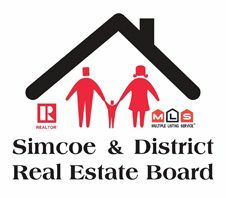 (Owner requests to stay on and lease back bungalow after sale.) Nine acres farmland is workable and currently rented. Located between the beach town communities of Port Dover and Long Point, just 80 minutes to London, 2 hrs to Toronto International Airport.